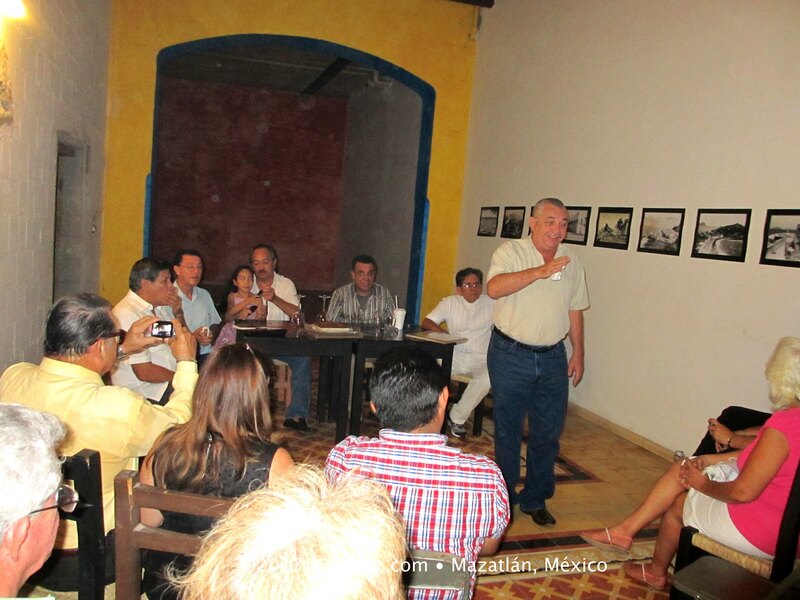 Terrific Evening of Old Mazatlán Photos and Stories | ¡VidaMaz! I have never understood a society, or a city, that doesn’t value its history. How can we here in this gorgeous port city of Mazatlán, with its history of riches, high society from all over the world, such a diverse mix of cultures and trades, and interesting story after exciting story, and not have a historical museum? But the Photo Expo last night was especially excellent. Why? The first ingredient was a terrific panel of knowledgable local historians: Mario Martini, Joaquin Hernandez, Luis Antonio Martínez Peña, Fernando Higuera, moderated by Guillermo Osuna. The second ingredient was a series of six photos of Old Mazatlán. As each photo was displayed, members of the panel took turns telling a story or two revolving around something in the photo. The third ingredient was a gorgeous old, very rustic room, with exquisitely tiled flooring and vigas overhead. Oh, there was also free beer, wine, water and soda. The evening was lovely, and the room was packed with interesting people. The evening was quite magical. This morning we’ve already had several people contact us, asking if the exhibition is ongoing. Sadly, it is not. The grand opening/ribbon cutting was last Friday at SECTUR, and the main event was last night in a rustically beautiful room at the back of La Querencia. We definitely need space to display some of these photos and a bit of the history of our fair city! 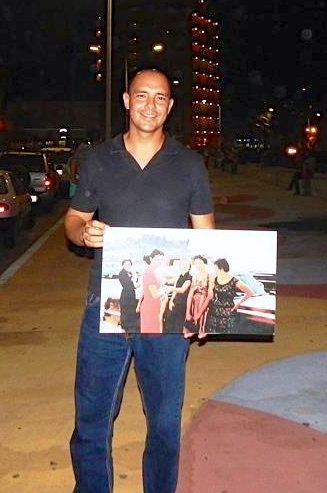 Last night, for example, I sat next to a gentleman who I later learned had purchased a certain photo of a group of young women standing in front of a classic car on the malecón in Olas Altas, with the burned-out ruins of Casa Echegurén on the hill in the background. My guess is that the photo includes the grandmother or great-grandmother of the guy who purchased it. How very cool is that? 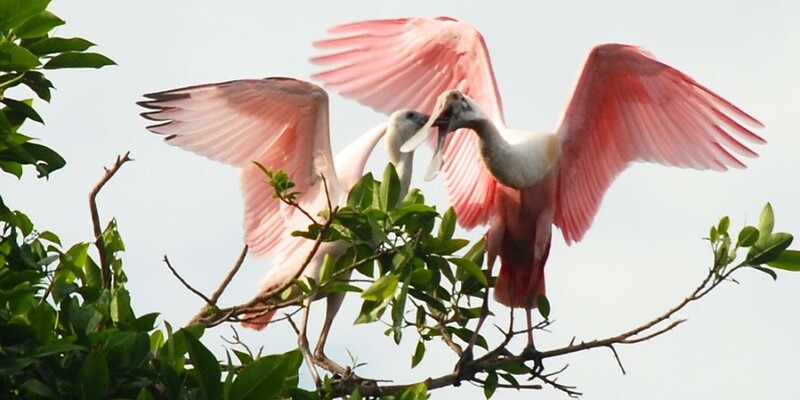 The organizers of the event last night are a group of people called “Amigos de Mazatlán.” They host a page on Facebook, where Greg and I have long loved seeing the photos shared, and the comments posted by family members, friends, great-grandchildren… sharing memories of our beloved adopted home. We recently met two of the group’s key players, Fernando Higuera and Briza Sánchez, when we went down to Casa Canobbio to buy a CD of photos in support of the group’s efforts to build a photographic museum of old Mazatlán. They are extremely passionate, and a whole lot of fun, so next thing you know, we were helping to sponsor and working in support of last night’s event. I’ll post a few photos below. Click on any of them to enlarge or view a slideshow. By the way, after the panel discussion, the photos were all put up for sale. And, even cooler than that, the money is going to the victims of the hurricane here in Sinaloa! Chairs set up, photos getting displayed. By the end of the night there wasn’t even any standing room left. The goal is, hopefully, to have a Museum of Old Mazatlán. I trust the dream will become reality. 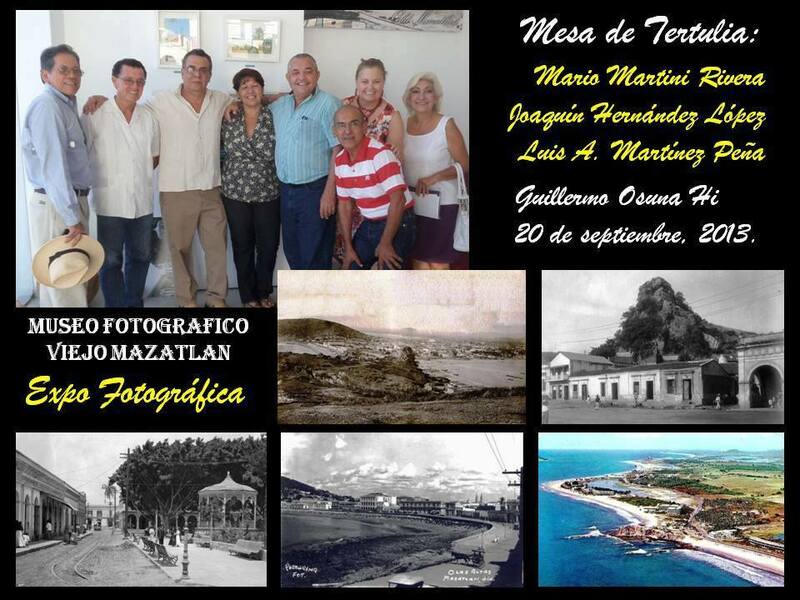 You can help support this effort to preserve and promote the history of Mazatlán in several ways. If you are in Europe, the US or Canada, Asia, or South America, check out your local photo archives. Many of the historic photos of our city have come from photographers and collections abroad. During the revolution, many of the old photos were packed up and removed along with the wealthy families who populated our city. You can get involved with the group, helping to plan and conduct efforts to make the dream come true. Your donations are welcome, and the group is also selling CDs of photos in order to raise money. As a photographer I wish I could have been there. I love the old photos shown on FB. 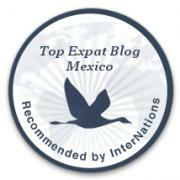 Be in Mazatlan in October. When you get here in October, I’m confident that the group will welcome you joining them, Lloyd. The old photos are fascinating. The fact that only the wealthy of that era could afford photography, and also that many of the professional photographers came from abroad and then took the photos back with them. Very distinct styles of photography, too — landscapes vs. views of how people lived. I’m sure you’ll enjoy it. Glad you follow them on Facebook. Very happy to hear that, KnoxAnn. Thanks for joining us. Pingback: Municipal Treasures | ¡VidaMaz!